I like to call this dish "Hot corn Salad" because at the end of the day, that is what it looks and tastes like..... to me. Its really easy and tastes amazeballs!! I was craving really spicy cooked corn, and its pretty difficult getting fresh corn this time of the year. I went ahead and used canned sweet corns to make this dish. Always use olive oil on reduced heat. Its a very delicate oil and burns pretty fast. For more intense flavor, crush your garlic before chopping and sear on reduced heat. It gets burnt very fast. 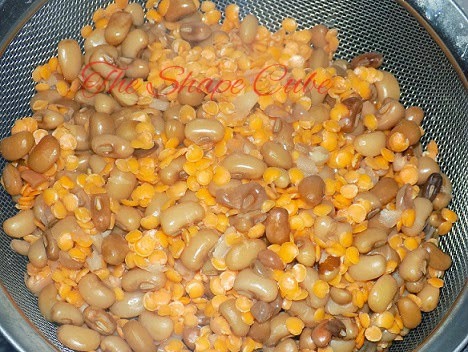 You can use any kind of beans or a combination of beans for this dish. 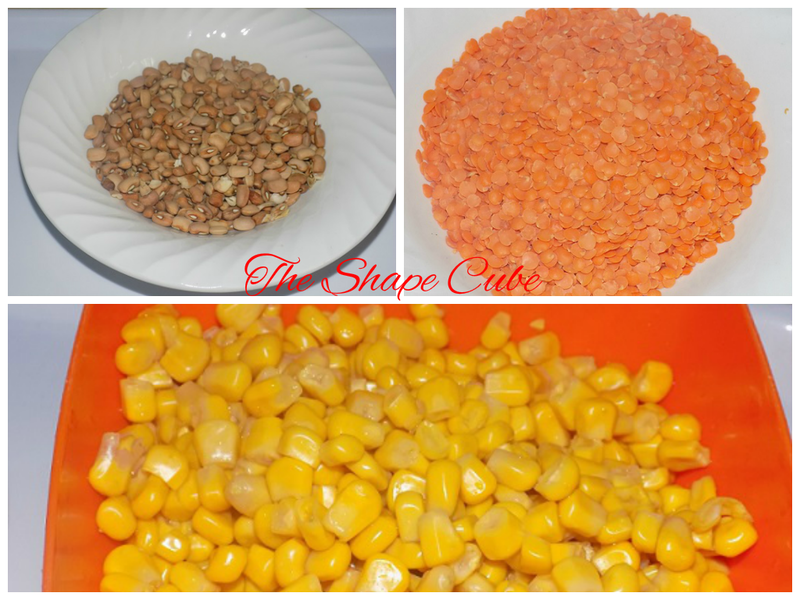 From top left: Honey Beans, red mini lentils, sweet corn. Left: Scent leaves. Right: Chopped Onions and Garlic. 1 1/2 of canned sweet corn. 1/2 cup dry honey beans. 1 tbsp ground chili pepper. Seared crayfish, Onions and garlic. Cook the honey beans to perfection, but not too soft. Just before its cooked, wash the lentils and add to it, this (mini) kind take about 5 mins to get cooked. Drain and rinse off the sweet corn, set aside. Heat a large pan and add the olive oil to it. Sear the onions, garlic, crayfish and pepper. This intensifies the crayfish flavor. Pour in the beans, lentils and corn. Make sure they have been well drained. Stir well. 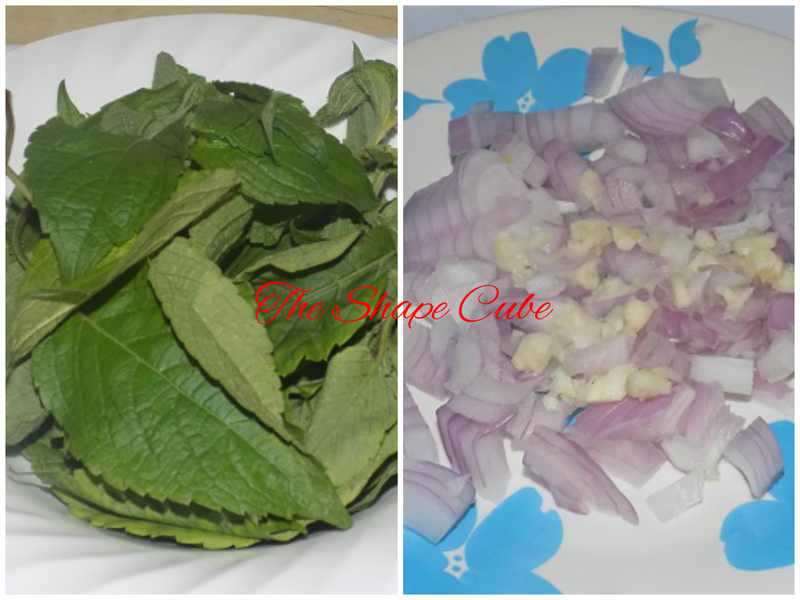 Add the scent leaves to the mix and season the food with your salt and seasoning cubes if you like. Adjust for pepper if you like it a bit more spicy like me. Now take it off the heat and serve immediately. I had mine with a piece of spicy boiled Mackerel. Looks like a salad right? This is a dish that you can use to catch a babe/guy, keep a babe/guy or just make your lover happy. They don't have to know its all so healthy, hehehehe sneaky! Enjoy and have a blessed weekend. Happy New Month in advance. Beans wirrout palm oil :( .... Looks yum yum tho, funny i thot palm oil was healthy o, like in small portion not drowning food in it. Biko Cheliz DHL me ds designer beans ryt away! Lol! Lala, see high cholesterol o, pls use sparingly. Come and get the designer beans by ya sef, waiting! Hi dear. About 300 calories. Whole corn is good for the body as long ad you stick with the required portion. Portion conteol is key. Thanks too. Looks yummy, will try it out. Pls what's another name for lentils? Hi dear, Indians call it "dal" i'm not sure it has another name aside from that. Please do try the recipe and lets know if you like it. Thanks a bunch! Ok. I will but the problem is where to buy the lentils from. Most big stores in Lagos sell lentils.